A state-of-the-art system and advanced home automation features. The oldest—and possibly the most trusted—home security provider in the U.S.
Easy-to-setup. Small, powerful, and stylish. No middlemen. No contracts. When looking for the best home security system, we looked at many different features, including ease of use, ease of installation, do it yourself vs professional, technology required, consumer reviews, customer service and, price. Depending on your home and your budget, you will have different needs, but you should find a brand that's right for you. Just a couple decades ago, the home security industry was dominated by a few big names offering expensive, rigid plans with little flexibility and unfriendly, long-term contracts. Systems were limited to a couple wired motion sensors connected to a keypad control panel and run through a landline. Nowadays, this has all changed. While some vestiges of the old industry remain, today’s homeowners are presented with a lot more options. Wireless technology and home automation features have beefed up the strength of home security, while granting customers unprecedented control and customizability over their equipment. At the same time, newer companies like SimpliSafe and Scout have introduced new, flexible payment plans that allow you to pay month-to-month, rather than forcing you to commit to a long-term agreement with harsh cancellation penalties. With so many home security options these days, it can be hard to choose the right one, that’s why we’re presenting this list of 2018’s best rated home security systems to ease the selection process. Along with summaries of the system’s features and pricing options, we talk about some of the advantages and disadvantages of each so you can decide which best suits your needs. Good luck in keeping your home safe! Through its twenty-one years in the home security industry, Vivint Smart Home has grown to become one of the top providers in the U.S. and Canada, supplying service to over a million homeowners. Concurrently, the company has also earned a name as a trailblazer with its advanced equipment and home automation features, finding a spot on Fast Company’s World’s 50 Most Innovative Companies list in 2017. Vivint supplies some of the most state-of-the-art systems in the industry, although it’s overall rating is marred by inadequate customer service and lengthy lock-in contracts. Vivint shines through its proprietary equipment, which stands out in its sleekness and functionality compared to that of its competitors. The system’s operating hub is the Sky Control, a 7-inch color touchscreen device from which you activate and deactivate your system, lock and unlock doors, view video feeds, adjust smart home devices, and much more. Vivint’s other devices such as sensors and outdoor and doorbell cameras are equally high-end and compatible with 3rd party smart home devices. The system uses a cellular connection, which protects against burglar wire cutting, but may be an issue in rural areas where the cellular signal is weak. However, the quality equipment comes at a cost: you have the choice of buying all the equipment upfront and paying month-to-month for a price of around $2000 or signing a 42-60 month contract (the cheapest of which is $39.99 a month) and leasing the equipment. None of the plans offer a money-back guarantee beyond three days, and the cancellation fee is a full 100%, so customers must be positive they want to go with Vivint or suffer expensive consequences. A veteran in the industry with 60 years in the home security business, Link ﻿Interactive has garnered a great reputation with customers evidenced by its A+ rating on BBB and favorable reviews on sites such as Yelp. The chief positives Link Interactive brings to the table are the wealth of security options offered for different homeowner needs and flexible price points. You can choose which equipment you need and select between three plans of ascending cost. The flexibility extends to the contracts, as well: customers have the option of selecting between 1,2, and 3-year contracts, or having no contract at all. Furthermore, Link Interactive offers a 30-day money back guarantee with no questions asked. Let’s talk about the equipment: Link Interactive is unique in that it doesn’t force customers to select between pre-set packages (although you can choose one, if you like), instead allowing them to hand pick between fairly-priced individual items through the website. Their equipment comes from reputed manufacturers like 2GIG, Honeywell, and GE, and includes control panels, door and window sensors, automated door locks, environmental sensors, sirens, yard signs and window decals. Basically, anything you’d need to protect your home is available if you’re willing to pay for it. As mentioned before, plans include the Standard ($30.99 a month, professional monitoring, fire and intrusion alarms, two-way voice to monitoring stations), Gold ($35.99 a month, everything that comes with Standard in addition to home automation features like lights, locks, and a remote control app), and Elite ($40.99, all of the Gold features with added HD video monitoring) plans. Customers get the choice of 12, 24, and 36 month contracts, or a pay-as-you-go option. While you can receive a full refund within 30-days, if you cancel any time after, you must pay 75% of your remaining contractual balance. Overall, Link Interactive is a great choice for home security compared to some of the bigger names in the industry due to the wide range of equipment options and pricing flexibility. .
A Virginia-based company with over ten years in the business, Frontpoint provides high-end home security with a wireless system, DIY installation and professional monitoring. Available plans allow for some customizability and the customer service is accessible and responsive. Additionally, the more expensive plans include pretty great home automation features and video surveillance for those willing and able to pay for it. Yet, Frontpoint has some drawbacks, including its high prices and severe lock-in contracts. Those weighing the options would do best to read over the contract thoroughly before jumping in. Frontpoint uses General Electric hardware for its security systems, providing customers with a degree of ease in replacing faulty parts. The equipment is quite good as well: compact and easily installed. Unlike other home security providers, Frontpoint’s security systems are entirely cellular, which means that bad actors cannot disable it by cutting phone lines, but may be a drawback if you live in an area with a weak cellular connection. A three-year warranty is included with your equipment, so don’t worry too much if something fails as the company should replace it. Basic Protection Plan: $34.99 a month. Includes 24/7 monitoring, fire protection, and environmental protection. Interactive Plan: $44.99 a month. Allows you to use the mobile app to remotely control your system and receive text and email alerts. Ultimate Plan: $49.99 a month. All of the features of Interactive in addition to live video streaming, cloud storage for old video, and home automation features. Overall, Frontpoint provides high-end security with a lot of flexibility, but its high prices and 85% cancellation fee render it a difficult proposition for some. With no lock-in contracts and optional monitoring, SimpliSafe is one of the top home security solutions for customers without a ton of money to spend. The company has been in business for 12 years and boasts an A+ rating with BBB. SimpliSafe’s good reputation with customers stems from its sleek, user-friendly, self-manufactured equipment, flexible pricing and optional monitoring. SimpliSafe’s equipment comes with a three-year warranty and is 100% wireless. Homeowners can choose between a landline, broadband or cellular connected system, and the system is controlled through a base station rather than through a keypad on a control panel like most home security systems. This gives you added defense against clever crooks who know how to disable a system through damaging the control panel. Devices that come with the SimpliSafe system include the SimpliCam, an indoor camera with a motion sensor and HD video quality, and a keychain remote used to arm or disarm the system. Simplisafe does not include home automation features, other than Nest integration, which may be a turn off for some. Unlike a majority of home security providers, SimpliSafe has no contracts. After you buy the initial package, with options ranging from $99 for one SimpliCam to $489 for the deluxe Haven package, the system is yours to do what you like with it.. Installation is DIY, but you can opt for a $199 professional installation if you want. Optional monthly monitoring plans cost $14.99 (no mobile control) and $24.99 (mobile control). By making a conscious effort to right the wrongs of other home security providers by being transparent and not tricking people into long-term lock-in contracts with hidden stipulations, SimpliSafe has earned a reputation as a great choice for homeowners. While more home automation features and additional hardware options would sweeten the pot, you will likely be satisfied with Simplisafe as your home security solution. A relative newcomer to the home security industry given a boost through crowd funding its first product line, Scout is refreshingly transparent with its service compared to its competitors that often require long-term contracts with harsh cancellation penalties. Though some homeowners may prefer a more elaborate, professionally installed system, Scout is great for the more hands-on inclined customer with its highly customizable equipment and systems. You can opt for either self-monitoring or professional monitoring plans, and neither will set you back too much. All of the equipment you use with a Scout system is self-manufactured and purchased upfront through the website. The equipment ships with a 60-day full-refund return policy and a 1-3 year limited warranty with few exceptions. Scout security systems are run through the Scout hub, a keypadless device that plugs directly into your router. Instead of the keypad, homeowners control the hub through the Scout Alarm mobile app. Through the app, you can view the status and regulate all of your installed devices: sensors, door panels, and motion detectors. The system is also compatible with home automation devices such as Amazon Alexa devices, Google Home, Nest, and other Z-Wave and Zigbee compatible devices. After the initial high expense of purchasing equipment, Scout offers two month-to-month subscription plans depending on whether you opt for self or professional monitoring. Always On, the self monitoring plan, costs just $9.99 a month and comes with 4G LTE cellular and battery backup, while AlwaysOn+ goes for $19.99 and includes 24-hour professional monitoring. Though not as extensive as some of the security solutions offered by market competitors, Scout is a great company with a solid product. Older homeowners might be put off by the lack of a keypad in the central hub, however many customers should be perfectly comfortable controlling everything through their mobile phones. Brinks Home Security, one of the established names in the industry, recently received a facelift after MONI Smart Security purchased the name rights to the company and gave the company a serious overhaul. The new and improved Brinks Home Security uses MONI monitoring and Livewatch DIY security systems for a more modern package. In terms of cost, Brinks is somewhere in the mid-range: not the cheapest, but not the most expensive, either. The equipment you receive through Brinks is based on which plan you choose. The company offers two options. The Home Complete Model that comes with a Brinks Home Touch display, three wireless home sensors, one wireless motion sensor and a yard sign for $29 a month with a $249.50 equipment fee. The premium Home Complete Model costs $39 a month (equipment $299.50) adds video and cloud video storage. All the equipment you purchase through Brinks Home Security works through the smart home hub, which is compatible with a majority of smart home devices. While the prices for both packages are reasonable given what they provide, many customers have left dissatisfactory reviews on Yelp and elsewhere, complaining of poor customer service and deceptive marketing tactics. So, be advised in reading the small print on the contract before signing. However, the 30-day risk free offer and 2-year warranty should alleviate concerns, somewhat. Overall, Brinks Home Security provides a quality product for a decent price in a crowded market. As a young upstart in the home security industry, Armorax cannot offer the quality assurance based on name recognition like ADT, but it does have a compelling business model, with flexible plans, top-line 2GIG equipment, and a DIY installation option. With Armorax, customers have a lot of leeway in deciding which security solution is right for them, and can let the Armorax do the monitoring, or do it themselves. Unlike other home security providers, Armorax has you buy equipment yourself, rather than lease it. You can select from the options available including 2GIG control panels, indoor and outdoor cameras, smart locks, etc. at varying cost, or just shell out $649 for a basic system. The hardware comes with a 3-5 year warranty and a $199 installation cost. The level of options, along with the choice of locking in to a three-year contract or the pay-as-you-go option, makes Armorax a great option for homeowners who want a higher level of decision making in their home security solution. Armorax provides 24/7 monitoring for all manner of crises, including fires, break-ins and medical emergencies. Their response time is less than 2 minutes and alerts will be sent to your phone or email. Self-monitoring, while suspiciously no longer advertised on their website, is available through the Alarm.com mobile app for a fee of $29.95 a month. From the app you can adjust settings, control your system, monitor your camera stream, and receive alerts. The main drawbacks of Armorex are its ever-shifting pricing structure and insufficient customer support. Not a lot of information is included on the website about means of tech support. The less-than-clear approach to pricing and technical support is understandable for a young company, but not a good look for a one that you’ve tasked with protecting your home. American ﻿District Telegraph, the oldest home security provider in the United States, continues to put forward a good product. 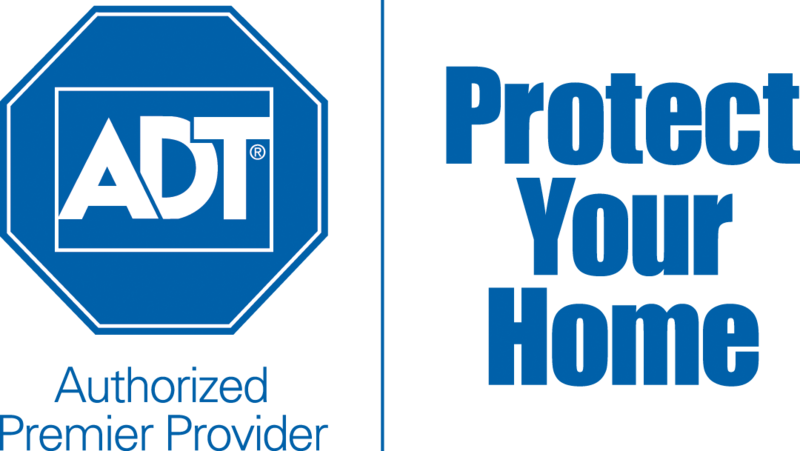 Still the likeliest home security sign you’ll see walking down the street, ADT stays at the top of the field by providing a broad range of services that most of its competitors cannot match, owing its established name and large amount of capital. Few other home security providers will allow customers to connect security systems from other providers, or offer such a wide-ranging choice of plans, including custom solutions, but ADT does. ADT also shines in its monitoring centers and customer support: 24/7 monitoring from four stations around the US and around-the-clock technical support. In terms of quality, ADT uses top notch equipment by GE, Honeywell, and ITI. Customers can select from a wide range of tools, like high-decibel sirens, entry sensors, motion detectors and more. Another great feature is ADT’s app, which allows remote access to your home system, although it is only available in select packages. ADT offers three basic packages: Traditional ($28.99 monthly monitoring fee plus $125 installation fee), Control (24/7 monitoring and home automation, $36.99/mo plus installation fee), and Video (all of the above as well as video surveillance, $52.99 a month plus installation fee). In addition to these monthly charges, customers will have to pay an activation fee and sign a three-year contract. Although you may cancel your service within six months if you have a significant service-related concern, after that half a year is up, canceling means being charged 75% of the contract’s remainder. All in all, ADT demands a serious time and cost commitment up front. Overall, ADT is a very good choice for those who want to go with a trusted name and can afford the expense. One of the top home security providers since entering the business in 1992, Protect﻿﻿ America provides service for hundreds of thousands of customers around the United States and Canada. They offer flexibility in their equipment and available plans, allowing homeowners to choose the security solution that best suits their needs. Unfortunately, there are some drawbacks to Protect America indicated by their low C- rating from BBB. A majority of the complaints center around misinformation regarding the mandatory three year contract. In fact, most customers were not aware they were making such a long term commitment. This, coupled with the severe penalty for premature cancellation--100% of the remaining balance plus paying for all of the equipment--may give some pause in choosing Protect America as their home security solution. Where Protect America shines is in its provided equipment: the company uses Simon control panels and sensors that are compatible with a number of Z-Wave devices built by other manufacturers. Homeowners choose between the Simon XT Pushbutton and Simon Touchscreen, a more advanced device capable of monitoring up to 40 devices around the home. The available sensors come in all varieties, including break sensors, smoke sensors, carbon monoxide sensors, and motion detectors. Cameras and other home automation features are also available. Protect America offers both landline and wireless connectivity for monitoring. In some areas where cellular service is not up to snuff, landline connectivity (which is the cheapest option, at $19.99 a month) is probably the best way to go to ensure the ideal monitoring situation. The DIY installation process is fairly simple, though professional assistance is available over the phone. When it comes to pricing and contracts, Protect America is less than ideal. While the three plans (Copper, Silver, and Platinum) are reasonably priced for what they deliver, the mandatory three-year contract and draconian policy might scare many away. Additional fees like $10 for fire monitoring and $10 for video monitoring are also not common for competing home security providers. To sum up, if the long-term contract doesn’t scare you away, Protect America provides a reasonably priced service with flexible options. While Nest ﻿﻿﻿Secure isn’t ideal for every everyone, it’s a good choice for customers living in a small home. For the relatively high price of $499, customers get a streamlined--yet effective security system adequate for a modest house with two entries. In contrast to other home security options, Nest Secure is 100% wireless and designed for self-monitoring, although Nest has partnered with Moni for a professional monitoring option. The Nest Secure starter kit is comprised of one Nest Guard hub, two Nest Detect door.window sensors and two Nest tags adequate for a two-entry home. While, additional equipment is available for purchase, add-ons can get pretty expensive. Perhaps the best feature of the Nest equipment is the Nest Guard, a user friendly control panel that you use to arm and disarm your system and comes compatible with Google Assistant (Google is Nest’s parent company). Also unique is the Nest Tag, a handy little key chain that allows you to arm and disarm your system from anywhere without pulling out your phone. Let’s talk about pricing: the starter pack will run you $499 and homeowners can buy Nest Cams for $99-199 and additional Nest Detect sensors go for $59 a pop. After the initial costs, Nest Secure is quite cheap, since it’s designed for self-monitoring. $10 dollars a month will buy you cellular backup via T-Mobile to send alerts if the WiFi goes kaput, and those who insist on professional monitoring can get it for $19 (three-year agreement) or $29 (pay-as-you-go) a month through Nest’s partnership with Moni. However, Nest Secure does have its drawbacks: many BBB reviewers have issues with poor tech support and a lack of information on warranties. Furthermore, there is occasionally up to an hour delay in receiving alerts on your phone from the Nest Guard, a concerning issue. All in all, Nest Secure does provide a solid package for customers who prefer a self-monitoring system. Well, that’s the list. It’s important to note that while some systems have clear advantages over others, choosing the best home security system ultimately depends on your individual needs and circumstances. For homeowners/renters on a budget, the systems offered by Scout and SimpliSafe with no-contract options, a simple array of equipment, and DIY installation are attractive choices, while those with a little money in the bank and no plans to move any time soon may opt for the more expansive systems and long-term commitments offered by Vivint and ADT. Furthermore, if you prefer to pick and choose your own equipment, Link Interactive is the best option. All in all, choosing a home security system is an important decision that can have impactful consequences. We urge you to seriously weigh the pros and cons of each option before pulling the trigger on a security solution for your household.